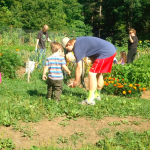 Imagine: Deerfield Academy is offering you hundreds or even thousands of dollars to be creative about improving your community, the environment, the political process, public services, or some other aspect of life in your community. How would you propose to use that money? This is your opportunity to present your ideas to us. The CSGC offers two types of grants: CSGC Grants and Micro-Grants. Be worthy of your heritage, Deerfield students, and advance positive change! Micro-Grants: Through the CSGC, students can apply to up to $150 to fund student-generated projects on and off campus during the school year. Proposals for CSGC Grants are due February 25 for Spring Vacation and April 14 for Summer. Proposals for CSGC Micro-Grants are accepted on a rolling basis. How to Craft a Strong Proposal — Attend a Grant Workshop!